Welcome to the new Dactyl Life blog. I was at my old blog for years and finally decided to move on up! I don’t think I ever properly introduced myself on my old blog so I thought I would take this as an opportunity to do so! The basics can be found on my about page, so I won’t bore you with those details. 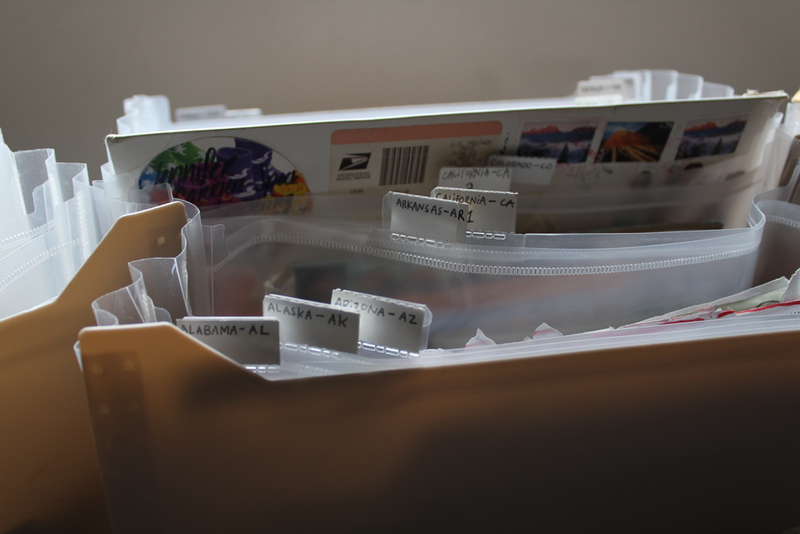 I created Dactyl Life this year, with the intention to spread my mail art throughout the world. 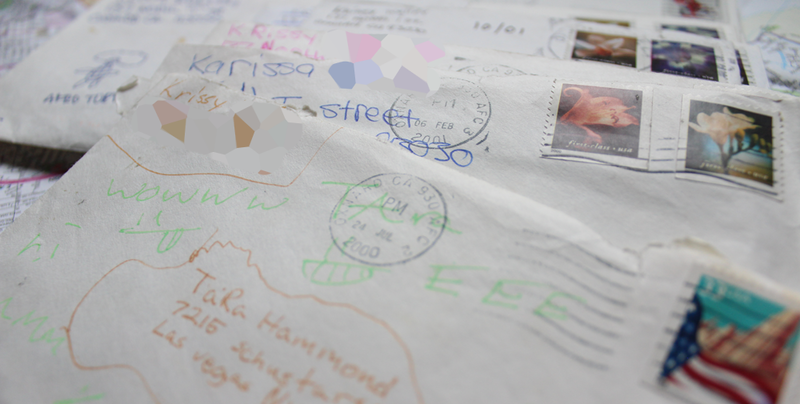 I’ve been involved with mail art and sending letters since 2000. My first mail adventures started out when I was 12 years old. I had a ton of friends online, back in the days of AOL. I would have trusted my life with these people and we were always looking for new ways to communicate. Even as a kid, I always enjoyed checking the mail and being the first one to open, and read, the letters my grandmother sent us. My AOL friends and I decided to start writing each other letters, in addition to the hours we talked to each other online. The letters were strange and lovely at the same time. I mainly exchanged silly thoughts and frustrations with two friends, Krissy and Jen. Even as kids, we always found ways to decorate our mail, or thought to include something nice for the other person. A big perk for us was that we could send each other pictures through the mail. Back in my day, it was incredibly cumbersome and expensive to send pictures to people online. 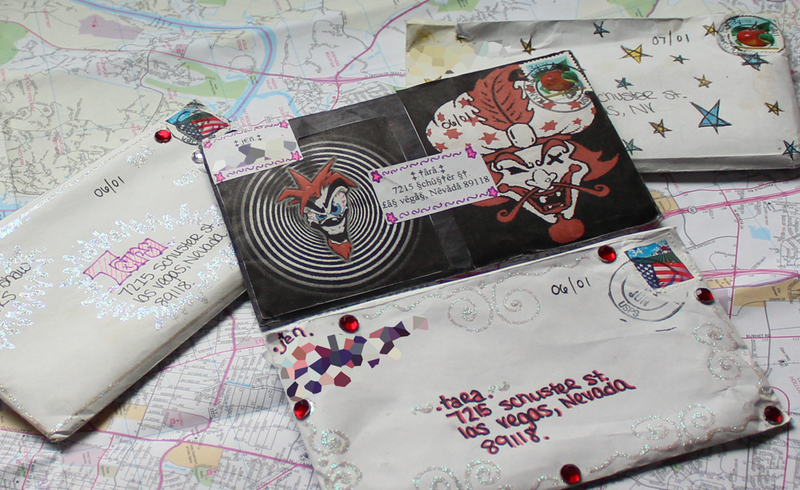 Jen was the one that unofficially introduced me to mail art. 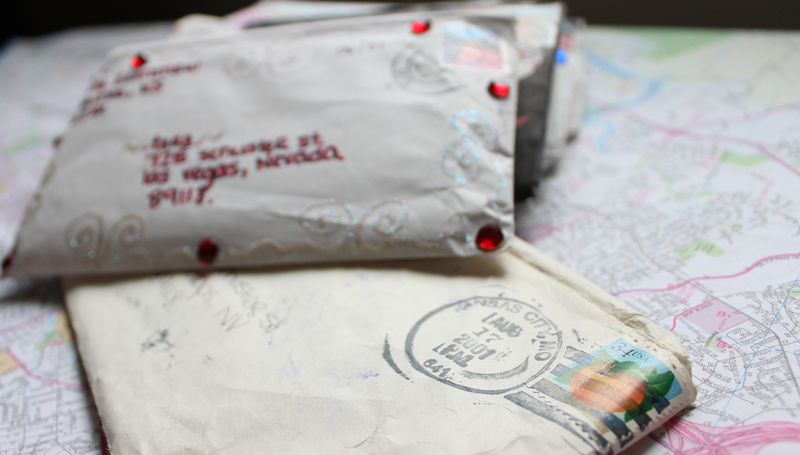 She was constantly covering her plain, white envelopes with pictures and doodles. I attempted to step my mail game up but failed miserably because I didn’t know what to do or where to start. receive (and send) mix cds, secrets, to do lists, ephemera, and anything in between. Since I was still a kid in the mail art world, I mostly imitated the art of the people sent me. I remember receiving a letter written on a piece of paper that was cut into the shape of a star. That blew my young mind! In responding to that letter, I cut my own stationery into different shapes. Eventually postcardx just stopped existing. Sendsomething.net came in to take its place, in a way. By that point, I pretty much stopped sending mail. I started my first relationship, had real life friends, and was working full-time. It wasn’t until I didn’t have a mailing address did I get fully involved in sending letters again. In 2010, I left Las Vegas for three months to road trip around the Southwest with my then-boyfriend and his best friend. I spent my nights on the road looking at mail blogs and longing for the day when I would be able to have an address again. Eventually I came home and jumped into mail head first. I sent as many things as I could to strangers on sendsomething, hoping to make a connection with anyone who would respond. For the first time, I had my own style for decorating envelopes. Since then, it’s just been growing and growing. My ideas and style change on the daily, although the things I use to collage with (typically) stay the same. Now I’m here. 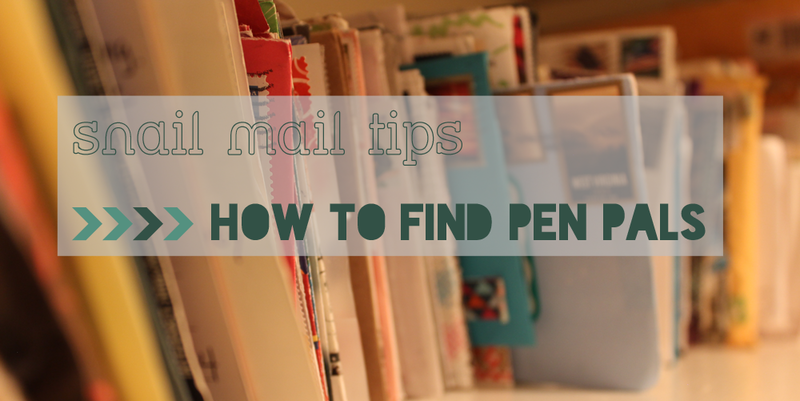 I have my own stationery shop and pen pals all over the world. I don’t know if I could ask for much more! What’s your mail story? Were you active on postcardx? Who did you send your first letter to?